Claude Barbre, M.S., M.Div., Ph.D., L.P., NCPsyA., is Full Professor, The Chicago School of Professional Psychology Psy.D. Program Faculty. Dr. Barbre joined the faculty in January, 2009, and is Course Stream Coordinator of the Psychodynamics Concentration at The Chicago School, a faculty and committee member of the Child and Adolescent Studies, and lead faculty in the Psychology and Spirituality focus of study. He has counseled children and families for over 25 years, and served for 12 years as Executive Director of The Harlem Family Institute, a New York City school-based, psychoanalytic training program, working with children and families in low-income, high-needs neighborhoods. Dr. Barbre is also a past faculty member, training supervisor, and analyst at Westchester Institute for Training in Psychoanalysis (Bedford-Hills, N.Y.), and The Harlem Family Institute (New York City). He also taught psychology and religion at Manhattan College and Fordham University before his appointment at The Chicago School, and has taught and lectured widely as an international, national, and community speaker on topics devoted to psychology and religion, psychoanalysis, and the humanities. He is currently a Board Member and Training Supervisor at The Chicago Center for Pychoanalysis CCP). A former Editor-In-Chief ofGender and Psychoanalysis (IUP Press), and Associate Editor of the Journal of Religion and Health: Psychology, Spirituality, and Medicine (Springer Press) for 15 years. Dr. Barbre has also served as a guest editor and editorial board member of several journals devoted to psychology and the humanities, such as Quadrant (C.G. Jung Institute), Union Seminary Quarterly Review (Union Theological Seminary, New York City), The Journal of Religion and Health (Springer Press), and Gender and Psychoanalysis (IUP Press).His edited books include: with Esther Menaker, The Freedom to Inquire (Aronson, 1995) and Separation Will, and Creativity: The Wisdom of Otto Rank (Aronson, 1996); with Alan Roland and Barry Ulanov, Creative Dissent: Psychoanalysis in Evolution (Praeger-Greenwood Press, 2003); with Marcella Weiner and Paul C. Cooper, Psychotherapy and Religion: Many Paths, One Journey (Rowman & Littlefield, 2005). 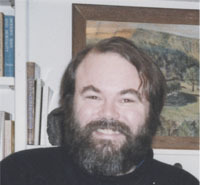 Author of prize-winning articles, books, and poetry, Dr. Barbre is a seven-time nominee and five--time recipient of the international Gradiva Award, presented by the National Association for the Advancement of Psychoanalysis (NAAP); he also received a 2008 Distinguished Achievement in Research and Writing Award, presented to the editors of The Journal of Religion and Health by the American Association of Pastoral Counselors (AAPC). In addition, he is a William B. Given Jr. Fellow of the Episcopal Church Foundation, and a Daniel Day Williams Fellow in Psychiatry and Religion at Union Theological Seminary, New York City. A licensed psychoanalyst and certified hospital chaplain, Dr. Barbre is a clinical member of The Association for Clinical Pastoral Education (ACPE), having worked as a chaplain at five hospital settings since 1988. In addition, from 1994-2004 he served as Director and Pastoral Supervisor of Openings, a Bellevue Hospital lay chaplaincy program of The Episcopal Social Services (ESS), New York City. He was also the American Academy of Religion (AAR) Mid-Atlantic Region Coordinator of the Psychology and Religion Section for nearly 15 years. In 2010 he received the Margaret Morgan Lawrence Award “for outstanding service to the Harlem Family Institute, and the children and families of Harlem, New York City.” During Dr. Barbre's tenure as Executive Director, The Harlem Family Institute provided nearly 60,000 therapy sessions with children and families who would not have had therapy sessions provided for them without HFI's school-based and neighborhood outreach programs. Dr. Barbre's clinical and research interests focus on foster care, psychology and religion, contemplative psychology, critical psychology, psychology and the arts, and the integration of therapeutic approaches to cultural and global perspectives. He has written numerous reviews and review essays on art, photography, literature, film, and music. He is a published song-writer. Dr. Barbre has interviewed clowns and musicians at Lincoln Center, New York City; sold children's books door to door in rural Oklahoma; climbed Benbulben Mountain in Ireland and sang to the howling Sidhe; scrubbed pots for several years at a soup kitchen in Manhattanville; grew a large garden that the birds and deer consumed; worked as a chaplain on the ER midnight shift—all important training prerequisites to becoming a psychologist and psychotherapist. By-Laws Committee, Board Member The American Board for Accreditation in Psychoanalysis, Inc.
Barbre, C. (2015). Foreword. In M. O'Loughlin,The Ethics of Rememberings and the Consequencrs of Forgetting. New York: Rowman and Littlefield. Barbre, C. (2014). Django unchanged: Identification with the oppressor and cycles of traumatic hauntings and reenactments. In M. Charles & M. O'Loughlin,Fragments of trauma andthe social production of suffering. New York: Rowman and Littlefield. Barbre, C. (2014). Review essay: The Freud-Rank letters.The Journal of Beharvioral Sciences. Barbre, C. (2012). Confusion of wills: Otto Rank's contribution to an understanding of childism.American Journal of Psychoanalysis, 72, 2. Barbre, C. (2011). Review essay. The fundamentalist mindset.The Journal of Religion and Health, 50(3), 521-526. Barbre, C.,Cooper, C., & Weiner, M. (2005).Psychotherapy and religion: Many paths, one journey.Maryland: Rowman and Littlefield. Roland, A., Ulanov, B., &Barbre, C.(2004).Creative dissent: Psychoanalysis in evolution.New York: Praeger-Greenwood Press. Barbre, C. (2004). Replacement religion. In M. Weiner, Cooper, & C. Barbe (Eds. ),Psychotherapy and religion: Many paths, one journey.Lantham, MD: Rowman and Littlefield. Barbre, C. (2004). The wages of dying: Catastrophe transformed. In F. Kelcourse (Ed. ),Human faith and development(2nd ed.). St. Louis, MO: Chalice Press. Barbre, C. (2003). The creative dilemma: The influence of Schiller's aesthetics on the life and work of Otto Rank. In A. Roland, B. Ulanov, & C. Barbe (Eds. ),Creative dissent: Psychoanalysis in evolution. London: Praeger-Greenwood Press. Barbre, C. (2003). Death anxiety in the treatment of children in poverty. In D. Liechty (Ed. ), Death and denial: Interdisciplinary perspectives on the legacy of Ernest Becker. London: Praeger-Greenwood Press. Barbre, C. (1999). Beyond Prometheus: A reevaluation of psychoanalytic pedagogy and morality. In R. Prince (Ed. ),The Death of psychoanalysis.Northvale, NJ: Jason Aronson Inc.
Barbre, C. (1997). Reversing the crease: Nietzsche's influence on Otto Rank's concept of creative will and the birth of individuality. In J. Golomb, W. Santabiello, & Lehrer (Eds. ), Nietzsche and depth psychology. New York: State University of New York Press (SUNY).